You might not know Mowl, which would surprise me, but I’m sure you do know Fist Salud, right? As you know, it is that ‘movement’ that started in 2012 which has brought together some of the best players in the World and has consequently made us all participants in this online Yo-Yo culture. If you thought that was it, then you are wrong. The boys at Fist Salud needed something more, they wanted to create something special and different. This is how and why Mowl was born. This is a new design idea in the manufacturing of high performance Yo-Yos. 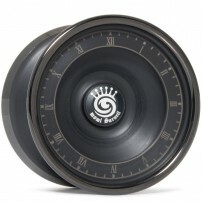 We have loved the quality of their Yo-Yos so far, and hope to see more new things from Mowl. Do you feel the same way? Surveillance is the word. Vigilance. Mowl. The eyes that see it all. One second. What the heck. I need one! Are you ready to change the response system on your Yo-Yo? Where there is a will there is a way my friend, check out these new silicone 19mm pads from Mowl. Were you going nuts when the Mowl Surveillance came out? Well his little brother is here, and well he’s not exactly little. Meet the new Mowl Surveil.